Unless you’ve been completely off the grid lately, you know that 70’s fashion is back in a big way for the fall. Everything is fringed out, bell bottoms and bell sleeves are back, and platform shoes have re-emerged! And I’m here for it all! I was born in the 70’s but it was 78, so I was too late to enjoy all the fabulousness that is 70’s fashion. I was reading a magazine months ago that had a pic of some celebrity wearing culottes and I’ve been on the hunt for a pair ever since. I’m not much of a pant wearer, but since it’s getting cool, it’s time to pull them out. Cullottes are great for all seasons, and I’m looking forward to wearing mine with boots when it gets cooler. I think because I have more hips/booty, my culottes aren’t as flowy as I’d like but I still dig them. I’m also short, so they’re longer than they’re supposed to be on me. I got mine at Express. You can get them here. 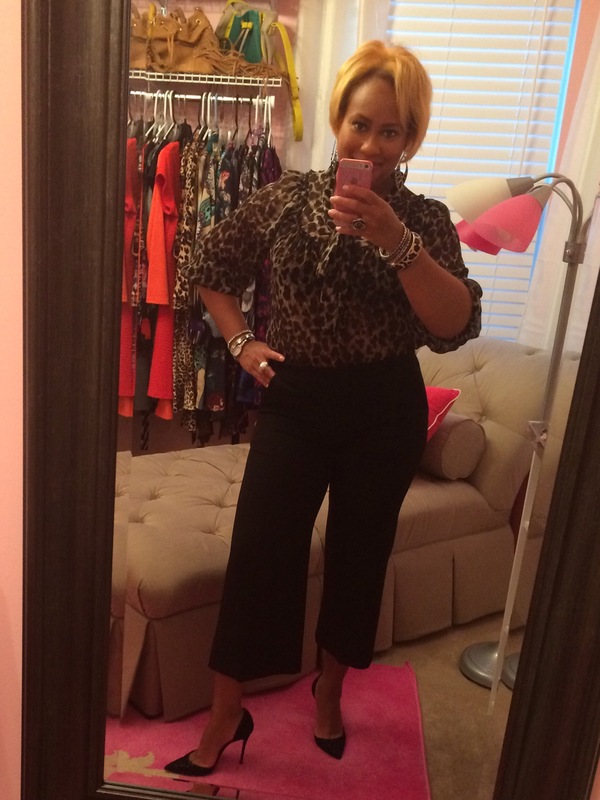 I got the blouse from Ross a few years ago and the pumps are Christian Louboutin from Neiman Marcus. What do you love about 70’s fashion?